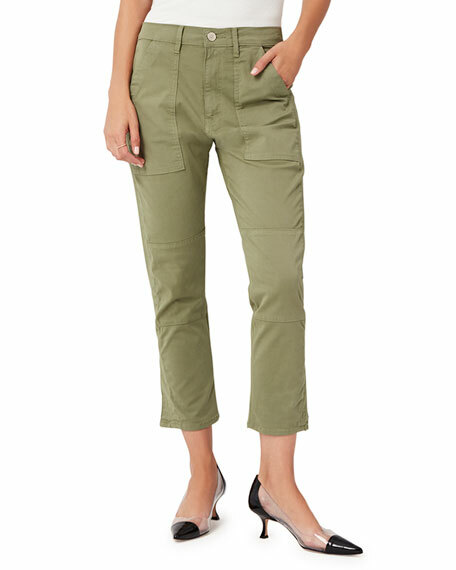 3.1 Phillip Lim trousers. Approx. 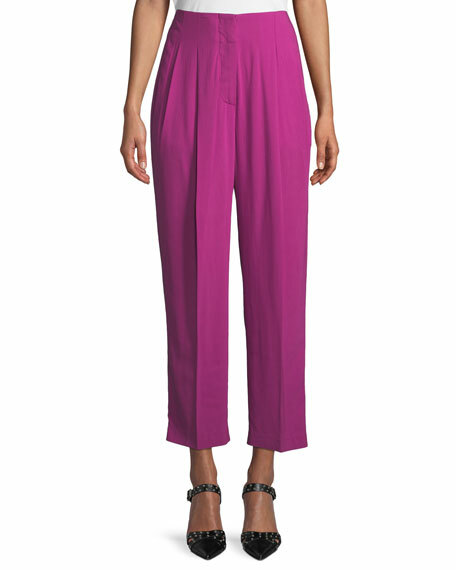 measurements: 26" inseam; 37.5" outseam. High-rise; pleated front. Side pockets; back welt pocket. Tapered legs. Ankle length. Hook/zip closure. Viscose/spandex. Dry clean. Imported. 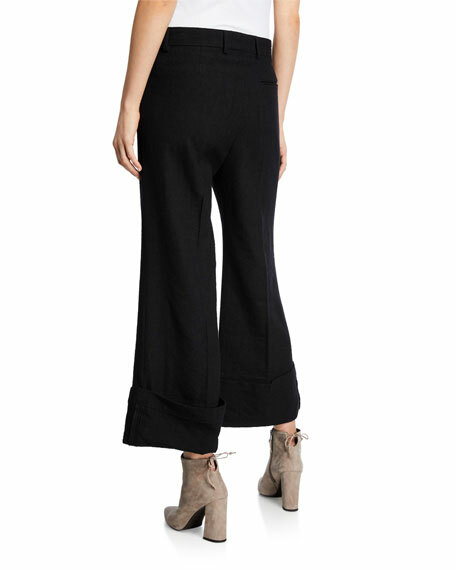 Alexander McQueen pants in wool-silk twill. Mid rise. Pleated front. Side slip pockets; back button-welt pocket. Straight fit through legs. Full length. Hook/zip front. Wool/silk/nylon. Dry clean. Made in Italy. 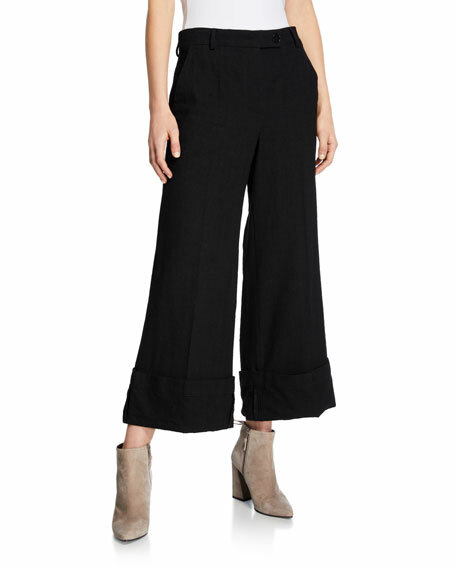 Dion Lee pants in stretch wool twill, featuring semisheer mesh side stripes. Mid rise. Front slip pockets. Straight, boot-cut fit through legs. Hook/zip fly; belt loops. Full length. Wool/polyester/polyurethane. Lining, polyester/spandex. Imported.